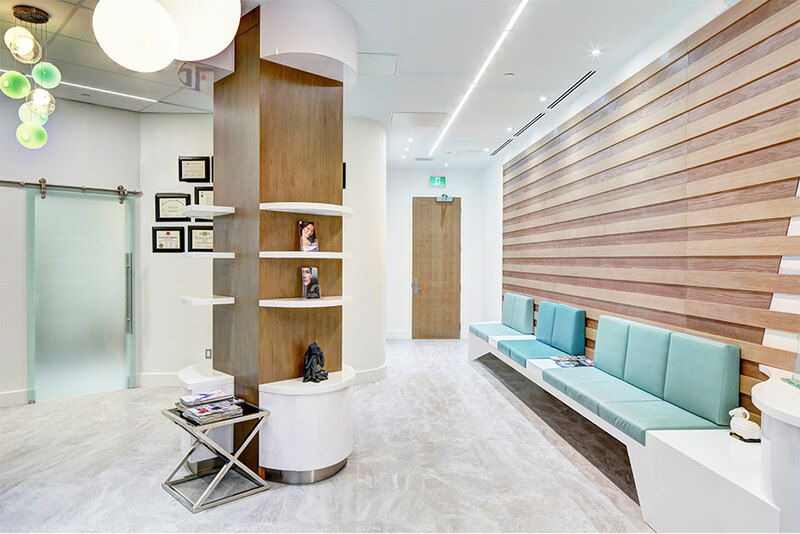 The Eye Face Plastic Surgery Institute is a hospital grade surgical suite located in a commercial high-rise in Toronto, Canada that serves Ophthalmology and Otolaryngology patients. The building envelope and mechanical system were specially designed to provide sufficient fresh air, pressure, and ventilation to the surgical and recovery room in order to meet the Level 3 Out of Hospital Premise standards from the College of Physicians and Surgeons of Canada. C& Partners designed the Institution so that the circulation, layout, lighting, and interior finishes reflects the needs of patients who have weaker vision and are sensitive to light and smell due to undergoing eye, nose, neck, and throat surgical procedures. Porcelanosa’s KRION® Solid Surface Material was used to create custom designed desks, benches, and shelving units throughout the office space. 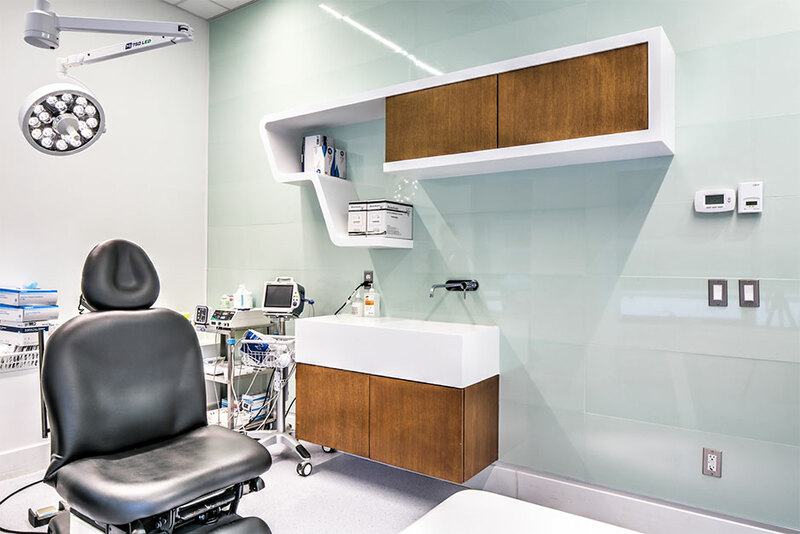 KRION® Solid Surface Material is a wonderful product for healthcare design due to its many unique characteristics – including its color choices, antibacterial properties, and its seamless design capabilities that allow it to be molded into any shape or size. Porcelanosa tile was also used throughout the office. 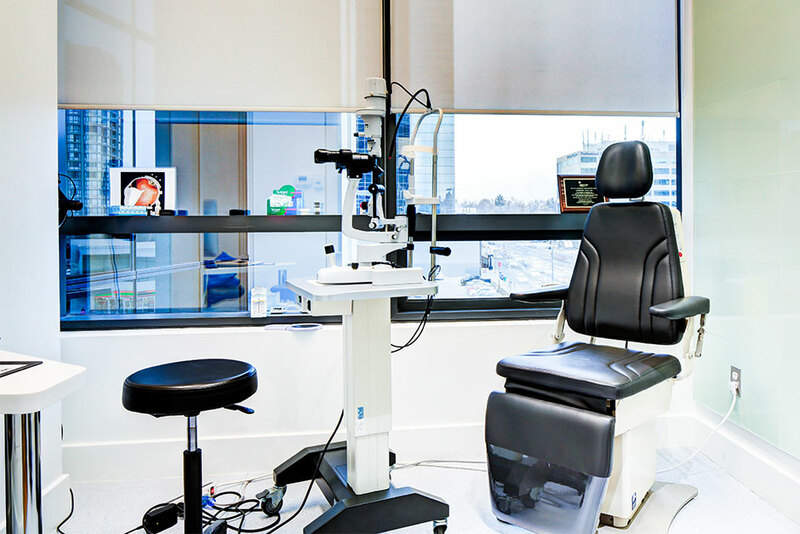 Each treatment room and the surgical suite are tailor-designed to meet the ergonomics of each surgeon’s practice style so that the patient is always at the focal point, where all tools and equipment are placed conveniently to the standing and sitting position of the surgeon. Other than ergonomic friendly, the layout of the clinic allows each treatment room to have natural light coming in, where all servicing spaces that do not receive patients, such as staff room, clean room and sterilization room, are located in the middle of the Institute.